There are many different preschool program types and names. What are they and how does directing each one differ? Some differ based on where the facility is located. Some differ based on your state licensing regulation's description of the program. You might see a program that is run in a home listed as either a Family Day Care, a Family Child Care or a Family Home Day Care. All of these are run in a residential home. You might see a preschool program listed as such--Preschool Program, or you may see it listed as a Nursery School. The program names are the same and assigned only to programs that serve a very specific age group. You might see a preschool program even more specifically listed as a Christian (or other) Preschool. Each of these might be run in a home facility or an off site facility. The name may be ABC Preschool, however, the license will tell you the program type (family day care license-which is home based; preschool license-which is facility based or not in a home setting). You might see a program listed as a Child Care Center, Group Center or Day Care Center. These programs serve a wider age range AND have a higher number of children (and staff). You might see a program listed as a Head Start Center. This is a Federally funded program with its own specific guidelines. There are other names you might see as well such as Montessori School, Reggio Emilia School, etc. These also have their own guidelines in order to carry the name. However, if state licensed, they must follow the minimum guidelines for the type of license they hold (preschool, family day care, etc.). Regardless of the name of a program, it must follow the licensing guidlines for the license it holds. I ran a license family day care program. It was run in my home. I only served preschool-aged children ages 3 years to 5 years- even though my license was for birth through 10. Even though I offered a preschool based program (with regard to activities), I was required to follow the regulations for a family day care program. this included not having more than 6 children without an assistant. (In a program licensed as a preschool facility the ratio would be 1:8). I was required to be part of the USDA food program (not a requirement for a preschool facility). Suggested Resources I have used in these program types. A Child Care Center can mean many things. It is one of many program types. Let's look at what this, as on of the preschool program types, typically refers to. When you see the word "Center" in the name of a program, it will most times mean a facility that serves a large number of children. For the sake of state licensing, the name tells you that their licensing capacity is larger and may limit the age ranges of the groups. As a Child Care Center, Group Center or Day Care Center, these programs serve a wider age range and do not limit their age grouping to preschool only. Here is the description of a Child Care Center according to the licensing regulation for a particular state. This will give you an idea of the type of care provided under these program types. It is important that you discuss the type of center or program that you want to run with your state licensor to be certain that you are providing care within the legal parameters of the state. "Any facility operated on a regular basis whether known as a day nursery, nursery school, kindergarten, child play school, progressive school, child development center, day care center, pre-school, or known under any other name which receives children, not of common parentage, younger than seven years old, or younger than 16 years old if such children have special needs, for non-residential custody and care during part or all of the day separate from their parent(s). Child Care center shall not include: any part of a public school system; any part of a private organized educational system, unless the services of such a system are primarily limited to kindergarten, nursery or related pre-school services; a Sunday school conducted by a religious institution; a facility operated by a religious organization where children are cared for during short periods of time while persons responsible for such children are attending religious services; a family child care home; an informal cooperative arrangement among neighbors or relatives; or the occasional care of children with or without compensation therefore." I know, right?! That was quite a mouthful. There are several reasons for all of this wording! Really, there are! The first part defines what a Child Care Center IS. It states ages, non-relation of children and that care is provided separate from their parents attendance. Note where it states "Child Care center shall not include:......". This is stated because the types of care listed there have their own specific license and their own specific expectations and responsibilities with regard to staff qualifications, ratio capacity and possibly local city or town ordinances. Directing a center requires that the Director have specfic educational trainings and background experiences. As a Child Care Center Director, you will NOT have time to be a teaching director on a regular basis. The administration of this type of program requires ﻿staff training﻿ and professional development; keeping each child's immunization and other records current; overseeing ratios, staffing, family meetings and more. Consider the Benefit of Support Staff! It is very common, especially for child care center program types, to have support staff for the director of a center. Such staff may include an Assistant Director and/or an Administrative Assistant (either part or full time). The Assistant Director job description may include being qualified to teach in a classroom when needed as well as carry out the functions of your position as Director in your absence. An Administrative Assistant can be assigned responsibilities such as tracking child and staff attendance; child records and forms; staff training requirements and more. 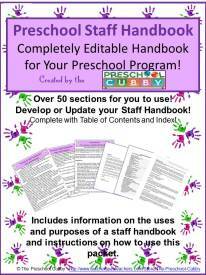 One resource I have found helpful as a Director is the Preschool Director's Survival Guide . It is a book with oodles of forms containing sample wording. It was the basis for some of the forms I used in my programs. Over time, I am creating online versions of the forms that I have created and will be offering them on this website for sale. Click Here To Read About Each Helpful Packet! A Preschool Program or Nursery School is a program that serves children ages 3-5 years old. This program type may not have a specific designation with regard to your state licensing agency. 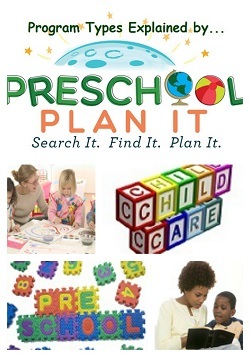 The names "Preschool Program" or "Nursery School" are specific in telling the type of program. These names tell you that the ages served will be the preschool age group of 3-5 year olds (or 2 1/2 to 6 years olds depending upon the license and the kindergarten cut-off dates in your area). Many states do not have a designation specifically for a preschool program or nursery school. In the many states, this type of program would fall under the "Large Group and School Age Child Care" licensing. "Any program that receives on a regular basis more than ten children who are unrelated to their caregivers and are younger than 14 years old, or 16 years, if such children have special needs, during all or part of the day for non-residential care and education outside of their own homes. Such programs shall include, but not be limited to, those commonly known as child care centers, day care centers, preschools, nursery schools, child development programs, school age child care programs and before and after school programs, regardless of their location. Such programs shall not include any part of a public school system; any part of a private organized educational system, unless the services of such a system are primarily limited to kindergarten, nursery or related pre-school services; any part of a program operated by an organized educational system for the children enrolled in that particular system, unless the services of such system are primarily limited to a school age child care program; Sunday schools or classes for religious instruction conducted by a religious institution; a facility operated by a religious organization where children are cared for during short periods of time while persons responsible for such children are attending religious services; an informal cooperative arrangement among neighbors or relatives; or the occasional care of children with or without compensation therefore." "Preschool means a partial-day early childhood program for children age three and older that provides primarily education services where children do not nap and are not served a meal." So, once a lunch or nap or longer day is added, in Nebraska, the license designation would no longer qualify as a Preschool Program. Some state definitions read like stereo instructions at first glance and tend to be very long, run-on sentences separated by a few ";" or commas to break it up. When reading your state regulations, separate each section between semi-colons into its own sentence for reading purposes. It then begins to make some sense! The purpose of all the wording is to be clear what IS a group program and what is NOT. For example, providing care while parents/guardians are in religious services on-site does not require this type of license. When in doubt, contact your state licensor and ask for explanations! Of course, a preschool program might also be run in a Family Day Care environment. In my home program, although I was licensed for infants to school age, I only enrolled preschool children and had their school-aged siblings before and after school. My goal was to provide a home preschool program, I therefore did not enroll infants and toddlers. As with all program types, time management and organization are important. Administration of a preschool specific program or nursery school is more straight forward than those with mixed age groups. It is easier to determine if you are within ratio when all children are in the same age group. It is easier to keep track of immunizations as the children are in the same age range. 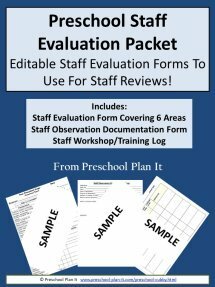 Determining staff training is easier as you can choose it based on preschool growth and development trainings as opposed to trainings for infants or school age children. Click Here to See My Affordable In-Service Training Options for Your Staff! The Creative Curriculum for Preschool by Diane Trister Dodge. This book has been, and continues to be, a great resource and help to me in all I do with regard to preschool. I would not run any program without it. Family Day Care is one of several names you might see for a child care program that is run in a residential home. Other names you might see for a home based program are Family Child Care Center, Family Daycare Home or Home Day Care. 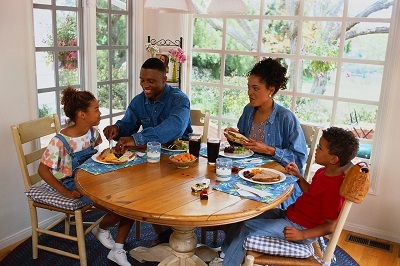 When you see the word "Family" or "Home" in the program name, it means that the program is run in a residential home in a residentially zoned area. For the sake of state licensing, the name tells you that their licensing capacity is small. It also means that local city/town ordinances may place additional limits on numbers and ages of children. Here is the description of Family Child Care from one state. This will give you an idea of the type of care provided. "Any entity or person who, through contractual arrangement, provides to family child care homes that it has approved as members of said system, central administrative functions including, but not limited to, training of operators of family child care homes; technical assistance and consultation to operators of family child care homes; inspection, supervision, monitoring, and evaluation of family child care homes; referral of children to available family child care homes; and referral of children to available health and social services, provided, however, that family child care system shall not mean a placement agency or a child care center." Family Day Care or Family Child Care is subject to specific training of operators (equivalent to a director in responsibilities). This is important as many family child care providers have no formal training in early childhood education. The licensing agency, therefore, will help secure training to help home providers grow and develop in the areas they need. In addition, although it may only be one person providing the care, ALL family members or persons living in the home where the care is provided must be approved by the licensing agency. Approval comes in the way of criminal and sexual record checks. The Director or "operator" or person running and providing care in the Family Day Care wears all hats! They are the infant/toddler/preschool/school-age provider. They are also the person responsibile for all administrative functions (forms, attendance, menus, etc.) of the program. They are not called "directors" by most state agencies because that title is used for administrators of larger programs and, as a director, specific training is required above and beyond that required in a home setting. As with all program types, time management and organization are important. 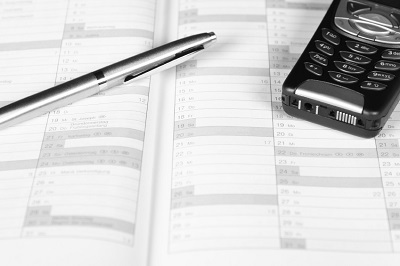 I think it is even more important for home providers to master the key of time management. When the day is over, you don't "leave" the office or classroom and go home. This is your home! It can be difficult to separate from care provider time to family time. It is tempting to work on projects, santize toys, rearrange furniture, etc. at 11:00 at night! Another challenge family day care providers face that other program providers do not face is isolation. In most cases, the provider works alone. There is no "floater", sub or other co-worker to cover for you to go to the bathroom. There are no breaks or lunch periods where you can unplug. You are "on" for 8-10 hours a day, non-stop. 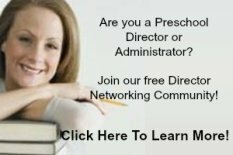 If you are a family day care provider, please look into networking with other providers! It is good for the children in your care and especially for you! Contact your the Child Care Resource and Referral Agency. Ask them if there is a Family Daycare Network in your area. If not, ask for a list of home providers in your area from your state licensing division. Call them and START a networking group! When I provided home care, I was involved in family child care networking group. We met once a month with all our children either at a park, at another provider's home or for a field trip. We had a picnic lunch and all enjoyed each other's company. In addition, we rotated 1 evening meeting per month in each other's homes. During this meeting, we shared activity ideas for the upcoming month, menus & recipes, discussed field trips, discussed issues or concerns we had (child behavior, working with families, etc.). I am a big fan of The Creative Curriculum Series by Diane Trister Dodge. They have been and continue to be a great resource to me. This series has two books I think would be hugely helpful to you. This is their original book. The Creative Curriculum for Family Child Care will be a wonderful resource for you. Their current edition, The Creative Curriculum for Family Child Care (2 volume set) is more pricey but well worth the investment. 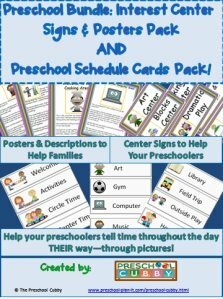 Of course, The Creative Curriculum for Preschool will be helpful for your program planning for the preschoolers in your group. As home providers you have unique needs in addition to working with a much wider age range than preschool programs. I truly believe these books will help you to provide the quality care you are commited to giving to the families in your care. You won't regret the investment of any or all of these books. A Christian Preschool or Christian Nursery School is a program that serves children ages 3-5 years old. This program type will not have a specific designation with regard to your state licensing agency, as it would fall under child care or preschool. The fact that it is called a Christian Preschool does not give it a special license designation. It is simply an adjective that will help families to know what that it is a ministry of a religious focus. The same would be true for a state licensed Hebrew School or German School or Montessori School or other. It tells us what the philosophy of the school is. There will be no designation with regard to state licensing based on the religious affiliation. Your program will fall under the same expectations of any other preschool program or child care center. As with all program types, time management and organization are important. Administration will be the same as with any preschool specific program or nursery school. With regard to paperwork, it is more straight forward than those with mixed age groups. For the children who do receive immunizations, keeping track of immunization records are similar as the children are on the same track and therefore due for the same immunizations within this age group. It becomes more complicated when you have mixed age groups as their immunizations schedules are different and therefore, keeping track of updates takes more time and organization! Being a Christian Preschool is more about who you and your staff are, meaning, the worldview that you approach education. In the case of a Christian Preschool, you and your staff, will have a biblical worldview. This is the view in which you will approach your program. It will be one of love, kindness, faith and forgiveness. You will support families as they teach their children in the faith. Being a Christian Preschool dos NOT mean you are a Sunday school program! The primary goal is still to provide a safe and nurturing environment that helps preschool children to grow in all areas of development. 1. You will have a Bible story or devotional time. 2. You will pray before snacks or meals. 3. You will pray for and with each other. 4. In addition to the traditional Interest Learning Centers set up in the classroom, you might also have a Bible Interest Center. 5. 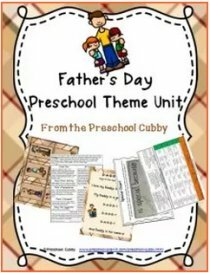 In addition to traditional preschool themes throughout the year such as Back To School, Rain Forest, and Chicka Chicka Boom Boom, etc., you will also run Bible based themes such as Creation, Jesus and the Children, and Zacchaeus, etc. 6. Regarding holidays, your focus might be, for example, a Christian Christmas Theme in addition to general or secular Christmas activities. The same would hold true for Easter. You might combine activities from a general or secular Easter theme with specific Holy Week themes such as Palm Sunday and Easter. 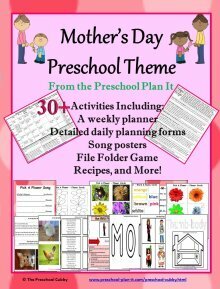 As you may know by now, I use The Creative Curriculum for Preschool in all my programs. For Christian programs, I also like the Director's Manual for Weekday Ministries by Barbara Snell McLain. It is an older book but still very relevant to the unique differences of running a Christian Program with regard to networking and gathering support within the congregation. This book has information specific to Christian Ministries such as communicating and educating the congregation about the program, Faithful Financing and other ministry specific sections. As you now know, there are many different preschool program types and names. Some differ in philosophy as well as licensing regulations. They are similar in the most important way: You are directing your program to provide the best quality care possibly to the children and families in your care! A final note from me, please be sure you are networking with others in your field. "It is lonely at the top" is a true phrase. As the leader of your team, you are the first one staff or families will come to with questions.........and also with complaints. Don't go it alone! Your passion and motivation are needed! So Network! I have a Facebook Page just for Directors. Come here to ask questions and share ideas with other Directors!